The aim of the intervention is to link, via the undeveloped side of a hill, two roads in the same neighbourhood that were isolated on opposite sides. 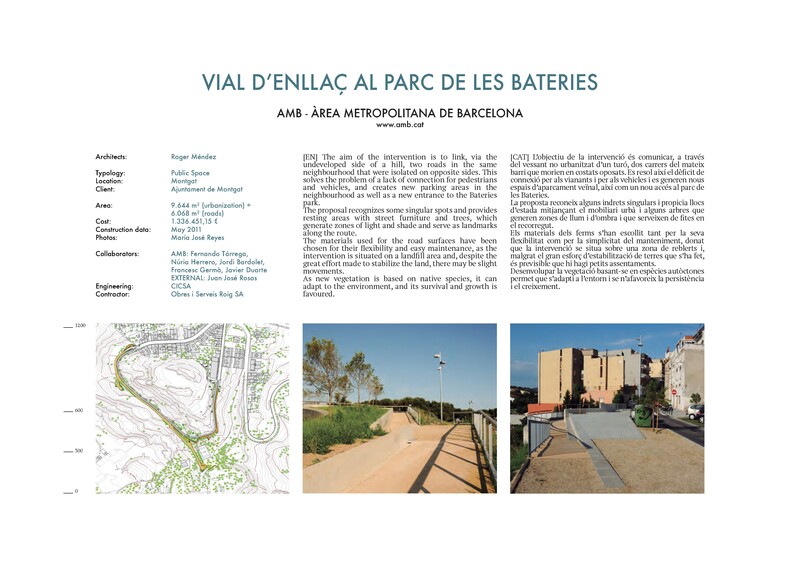 This solves the problem of a lack of connection for pedestrians and vehicles, and creates new parking areas in the neighbourhood as well as a new entrance to the Bateries park. The proposal recognizes some singular spots and provides resting areas with street furniture and trees, which generate zones of light and shade and serve as landmarks along the route. 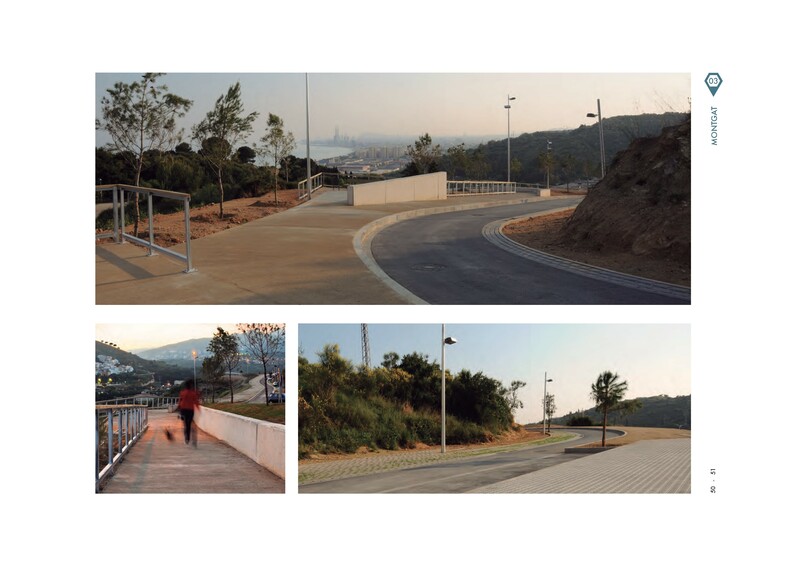 The materials used for the road surfaces have been chosen for their flexibility and easy maintenance, as the intervention is situated on a landfill area and, despite the great effort made to stabilize the land, there may be slight movements. As new vegetation is based on native species, it can adapt to the environment, and its survival and growth is favoured.